Historic Alexander Noble House is located at the intersection of Egg Harbor Road and Main Street, at 4167 Main Street, Fish Creek, Wisconsin 54212. PULSE, May 22, 2015: Alexander Noble House Prepares "A House In Mourning"
See also, Marker 386: The Alexander Nobel House and Fish Creek, Door County, Wisconsin, also at this location. Alexander Noble, who died in the house in 1905. The parlour of "A House In Mourning". 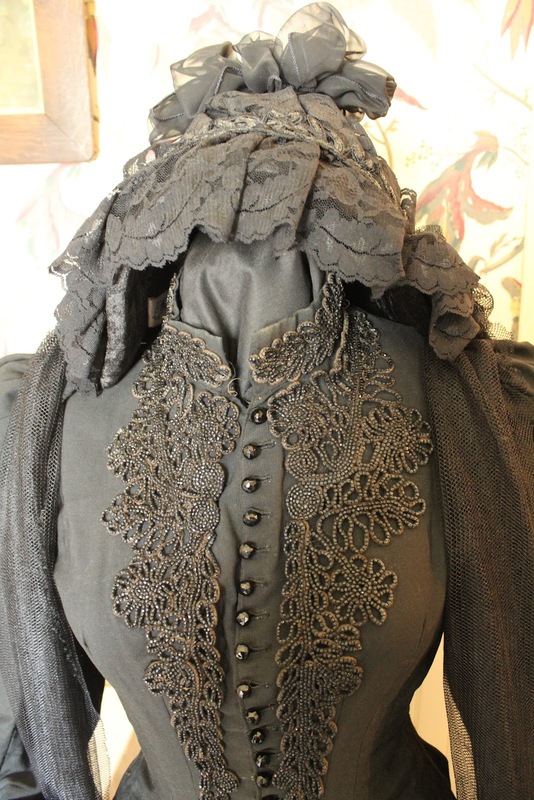 A newly-acquired treasure, an exquisitely embroidered mourning dress. A photograph of the Eagle Bluff Lighthouse hangs on the wall. 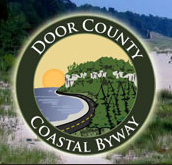 The property is located on the National Register of Historic Places. Rian and Albert, my guests from Oostburg, Netherlands. 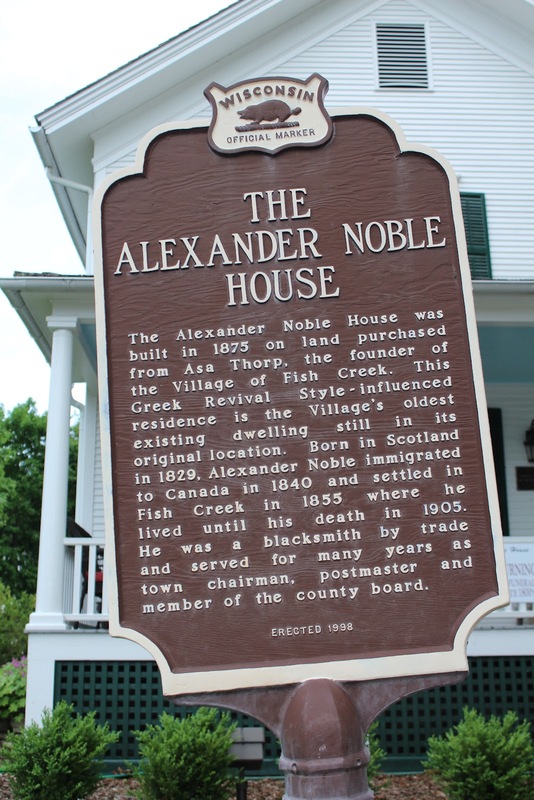 The Alexander Noble House is located in Fish Creek, Wisconsin.